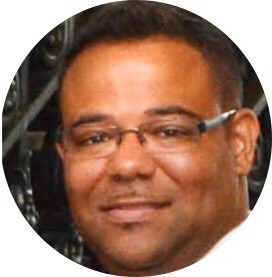 George T. Chochos currently serves as the Genesis Addiction Counselor and Men’s Supportive Housing Program Case Manager for the Bridgeport Rescue Mission and is a candidate in the STM program at Yale Divinity School. He earned an M.Div. from Yale Divinity School in May 2016. Prior to starting his studies at Yale, Chochos earned AA and BA degrees from Bard College through the Bard Prison Initiative as well as an MPS degree from New York Theological Seminary, all while serving a 14-year sentence for bank robbery (including in the infamous Sing Sing Prison in Ossining, NY). George married his lovely wife, Amie, in June of 2016.